Bushnell Trail Cameras are a popular choice among hunters and are good mid-range trail cameras. One thing is for sure: this brand of trail cameras represents quality and is a viable option when it comes to selecting a trail camera that gives you value for your money. 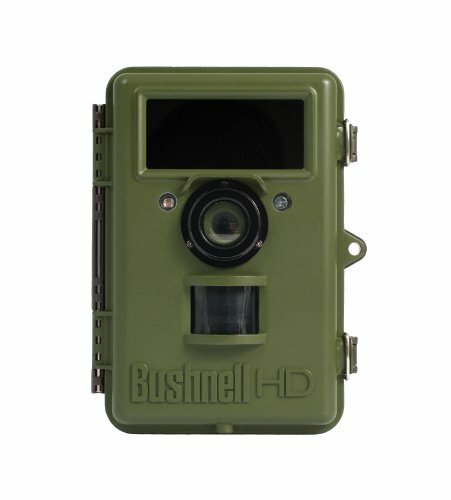 I have narrowed down the choices to those that I feel are among the best Bushnell camera and are a good value. This camera is a trail blazer on the trail camera market. This camera comes runs on batteries and each set will last one year. The 8MP Trophy also boasts a one second trigger time. The camera has a Field Scan mode that is use time lapse technology to allow you to review wildlife activity or your property over a span of time. I also like that this camera gives a larger coverage area and it is not triggered by animal movement. The 8MP Trophy Cam features true HD video resolution with audio recording. This camera also offers you brighter and sharper night time images thanks to the Hyper Night Vision which features a no-glow black LED. This camera also allows you to optimum consistency in all conditions with its New Auto PIR which automatically regulates sensitivity based on the current temperature. There is no doubt that this trail camera is among the leading trail cameras available, and for its price, this camera gives value for money. Batteries can be difficult to remove. Night photos tend to be dark. The close up photos are sometimes a bit blurry. Using the video feature drastically reduces the life of the batteries. What I really like about this camera is the one year battery life. This feature I believe makes this camera a worthy purchase. While the video option may significantly reduce the battery life, the ability of the camera to effectively operate on its batteries still makes it a good option. The other features are really good and make this camera one of the leading cameras in its class. The price represents a really good bargain as I firmly believe that this camera is a trail blazer. This trail camera is actually one of the better trail cameras available on the market because it is loaded with hunter-approved features and also has the very best in game camera technology. This camera has 14 MP and is able to record both still images and 1080p HD video clips. Additionally, the camera has a lightning fast 0.2-second trigger speed and an extended night time photo range. Taking scouting to the next level, the camera’s no glow black LEDs give an ultra-stealthy recon. This camera definitely represents an improvement on previous versions and is a worthy investment at its price. The camera runs on batteries for up to a year and is also weatherproof. The hinge design is not only big but it is strong and works well even in cold weather. Video speed affects the performance of the camera as the trigger and recovery slow down drastically. The batteries are difficult to remove. Images are sometimes overexposed in bright sunlight. When the camera is set to one second recovery, night time images will be dark. A durable camera that gives solid results, the 14MP Trophy Cam HD Aggressor represents a good buy. I like that this camera has some of the best technology in its industry. This camera has a modern feel and is a step above previous versions. As a result this ever-improving camera blazes a trail that represents quality. This is a close-focus camera that is designed to take pictures of small animals that approach near the camera so it is fairly good for bird watching. This camera is different from traditional trail cameras. Traditional trail cameras use an infinite focus that keeps everything further than one meter in focus, which means that anything within one meter tends to blur; this is not the case with this camera. The Natureview HD comes with a 25 cm and a 46 cm focus lenses which are in addition to the standard infinity-focus lens. Night time photography isn’t great as the flash can overwhelm anything that is too close. Of all the cameras listed here, I do think that this camera is the least attractive. Do not get me wrong though, this camera will represent a very good buy, but when looking at all the features and weighing them against the price, I do believe there are better options available. The Bushnell brand is a leader in high-performance sports optics. These cameras are a good representation of the brand. These are quality products with different features and uses, while maintaining a good value for money. My favorite among the Bushnell cameras is the Bushnell 8MP Trophy Cam HD Trail Camera. This camera represents true quality and brings satisfaction. The camera is quality product, and for its price it is really a bargain. 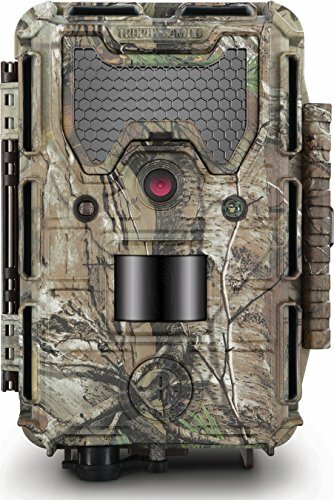 If you are looking for a higher resolution, the Bushnell 14MP Trophy Cam HD Aggressor No Glow Trail Camera is a good choice. If you are more interested in close up shots of small animals or birds, you should opt for the Bushnell NatureView HD Max Trail Camera with Night Vision and Close Focus Lenses. Happy snapping!